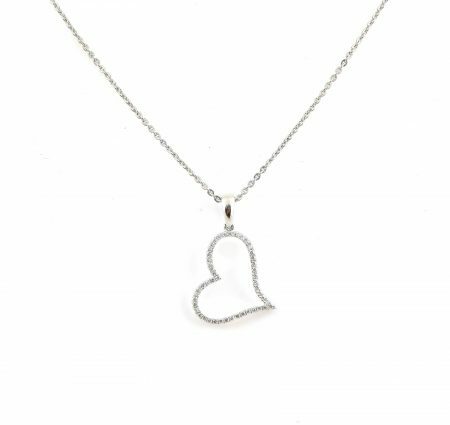 An 18K white gold Diamond set heart pendant. 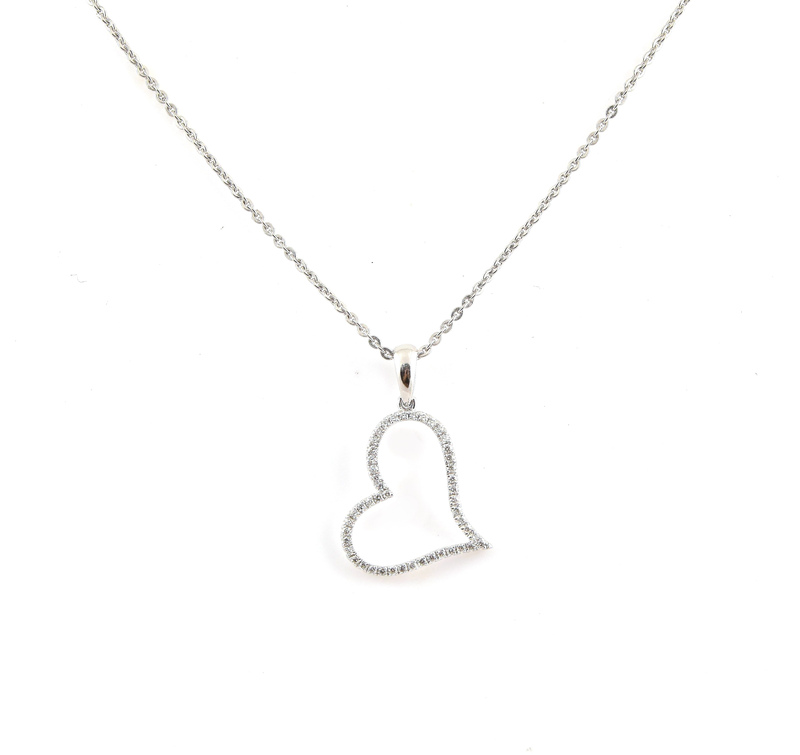 With 48 round brilliant cut diamonds set into a fine heart shaped pendant with bail. Looking for a matching pair of earrings? Click here to view our collection of diamond set earrings.